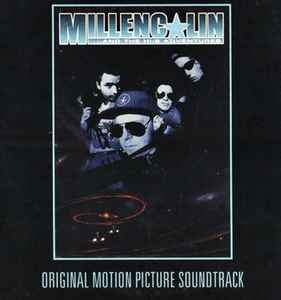 The soundtrack to the film "Millencolin ...And the Hi8 Adventures" was released as an EP in limited quantities. Burning Heart Records produced 1,000 copies for the European market, while Epitaph Records released 1,000 copies in the United States. Individually hand-numbered on the back. European copies have an 'E' prefix, while US copies have an 'A' prefix. "This is a limited edition soundtrack which were included in the first 1000 European videocopys and 1000 US copys of Millencolin & the Hi-8 Adventures. This single is printed in 2000 copys only and will not be reprinted. © BURNING HEART RECORDS 1998."